Nigeria currently has the highest rate of new HIV infection in Africa, after South Africa and Uganda. UNAIDS reported that there are 200,000 newly infected people in Nigeria annually – 46,000 of these are young women and 33,900 are young men. 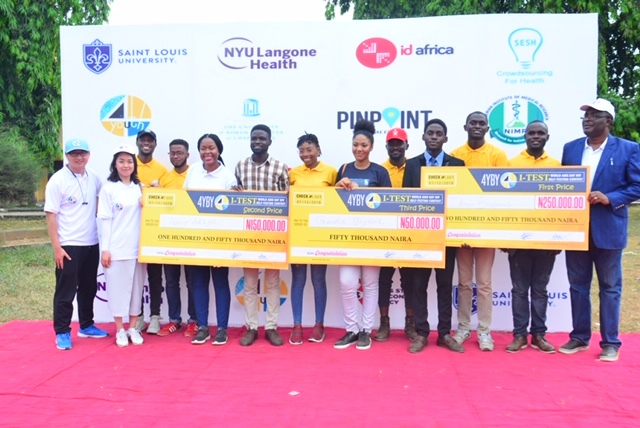 The 4Youth By Youth (4YBY) Group, a team of Nigerian researchers led by the Nigerian Institute of Medical Research and scientists at the Saint Louis University, New York University and University of North Carolina, Chapel Hill backed by the United States National Institute of Health (NIH), Eunice Shriver National Institute of Child Health and Human Development identified the adoption of HIV self-testing as an additional way to create demand for HIV testing, increase knowledge of HIV status, while reducing the accelerated spread of HIV/AIDS among young people in Nigeria. HIV testing in the privacy of one’s home will help to address issues of access and the stigma known with the disease. This led the team to coordinate an HIV Self-Testing Contest on social media for a month, in a bid to crowdsource ideas. 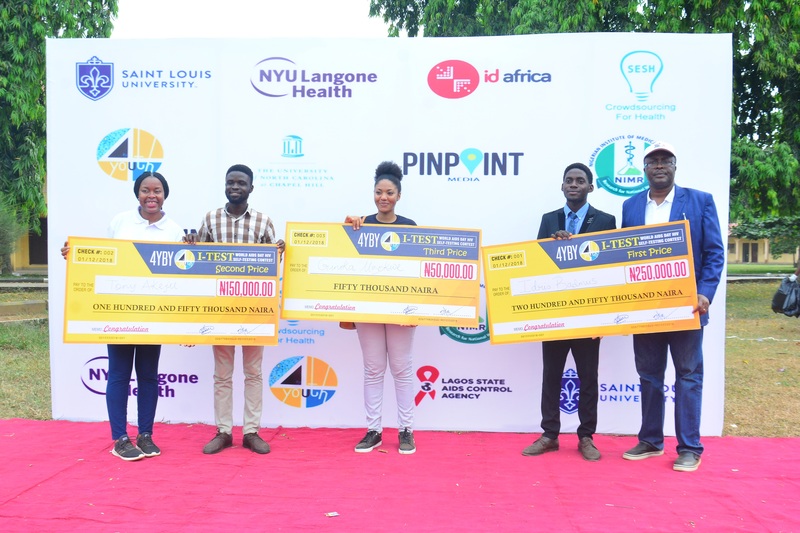 From the pool of 903 contestants, three young Nigerians were rewarded at the World AIDS Day HIV self-testing awareness event that held at Police Training College, Ikeja, Lagos on December 1st 2018. 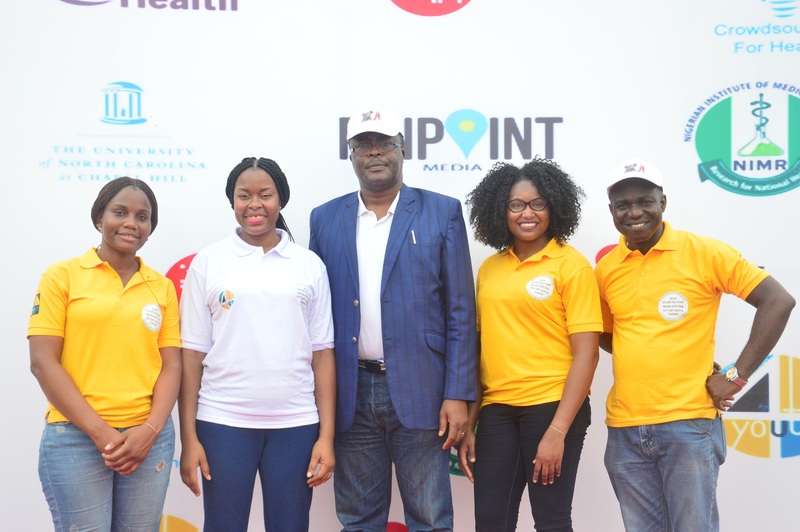 Free condoms were given out, while oral and confirmatory blood-based HIV tests were administered to over 300 attendees by medical practitioners at the event. Over 1000 young Nigerians got a chance to enter a raffle draw and win lots of exciting prizes. In the past, the only way to get tested for HIV was to go to a doctor’s office, hospital, or community health centre. Self-testing gives additional freedom as well as accessibility, convenience and confidentiality. Self-testing has the potential to expand the number of persons aware of their HIV status. Its potential to reach those who may not otherwise test may enable the country to achieve a situation where 90% of Nigerians living with HIV may know their status. It’s been suggest that self-testing may increase uptake and frequency of testing among individuals such as young people, who are often missed by available services. Knowing one’s status will help to decide on a proper course of action. 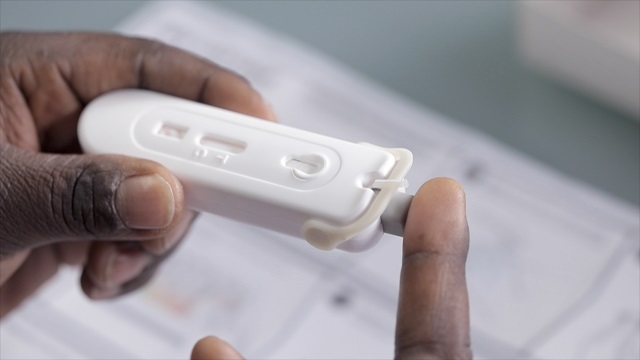 With HIV no longer viewed as a death sentence, self-testing may facilitate linkage and treatment for individuals who test positive, while providing appropriate prevention for those who test negative. Self-testing allows people to test on their own without having to go to the clinics or health facilities. It empowers people by normalising screening for HIV while giving individuals more rights and control over their own health. As the global communities commit to increasing knowledge of HIV status, Nigeria must keep up the use of self-testing as an additional HIV testing approach.